The National Weather Service has issued a tornado watch for the Ozarks until 5 a.m. on Saturday. The counties include Barry, Barton, Cedar, Christian, Dade, Dallas, Dent, Douglas, Greene, Jasper, Laclede, Lawrence, McDonald, Newton, Ozark, Polk, Stone, Taney, Webster and Wright. Storms are moving into Springfield slowly but surely from the south. The National Weather Service says they’ve already gotten reports of power outages in Christian and Douglas Counties. Marshfield has had reports of nickel sized hail. 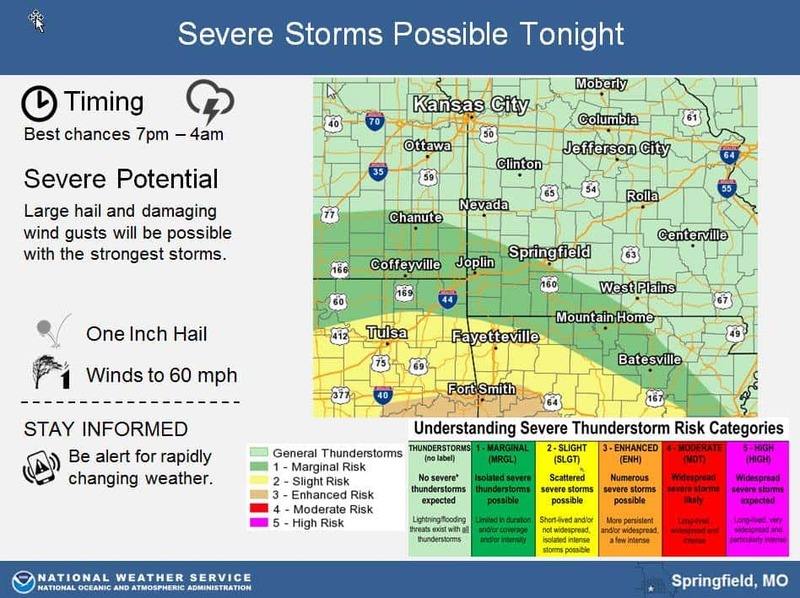 Meteorologist Doug Cramer says the storms could get intense.